A free will offering is expected according to your financial condition. COST: A free will offering is expected according to your financial condition. 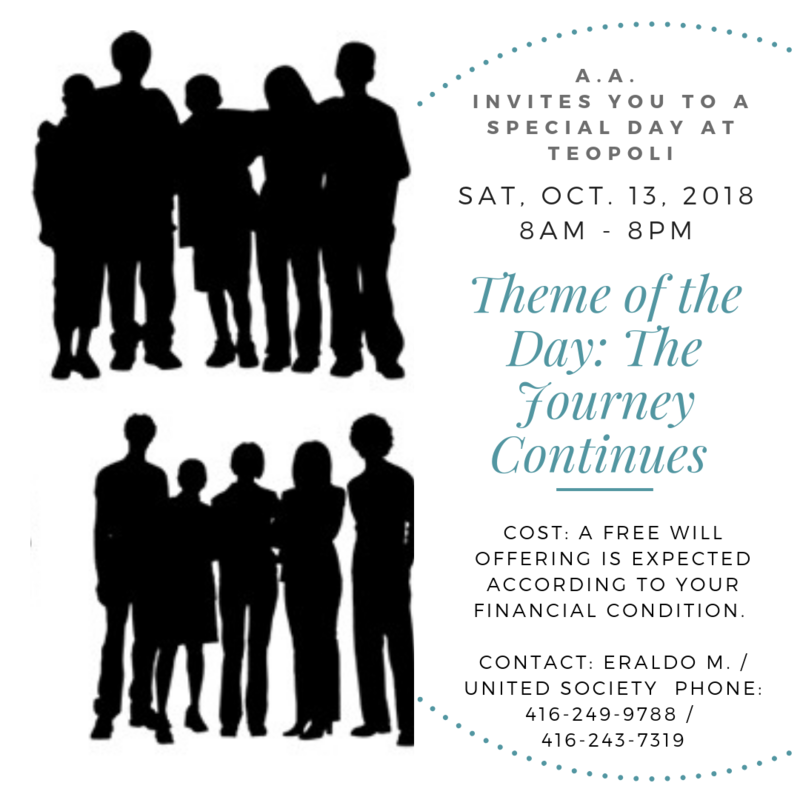 (please let us know if you would like to stay the night by contacting Eraldo Montanari - 416-249-9788—space is LIMITED due to construction, first come first serve basis).